Henna is a flowering plant used to dye skin, hair, fingernails, and fabrics since antiquity. 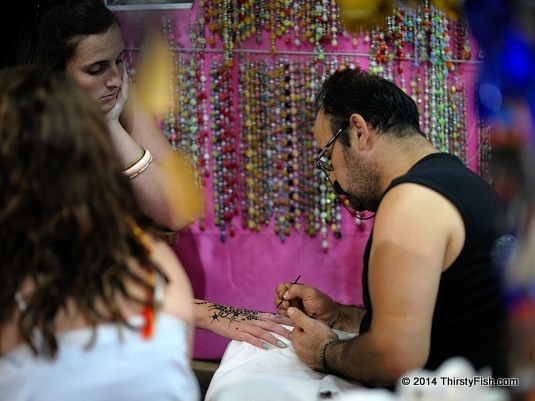 This Dalyan artist was applying henna to eager tourists in his on street studio. A typical application will last anywhere between a week and a month depending on how long the paste was left on, part of body and the individual's skin.